First, it was AT&T who offered an Internet bundle aimed at cord cutters. Now, Verizon has a cord-cutting bundle offer of its own. New Verizon FiOS customers in all markets can now sign up for a Double Play bundle that includes 50 Mbps of broadband, a year of Netflix, 17 local channels (5 in HD), HBO and Showtime all for just $59.99. A two-year contract is required for service, and if you sign up online, the activation fee is waived. The offer is pretty compelling if you live in an area serviced by FiOS. It offers terrific Internet speeds (more than capable of delivering Ultra HD 4K streaming video) and the basic TV entertainment necessities like local news and sports. You also get plenty of ways to enjoy that streaming content with access to both the HBO Go and Showtime Anytime apps – perfect if you’re the type who doesn’t watch TV on the TV anymore. 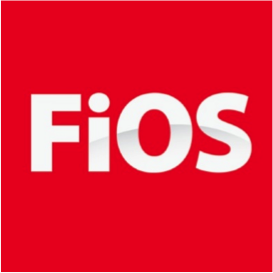 The inclusion of a year of Netflix is nice too, though you’ll need to pay out of your own pocket if you want to keep your membership going into the second year of your FiOS contract. “We found many people are choosing data-only packages and then they subscribe to Netflix or Hulu, but they might want some live sports and live coverage,” explains Verizon Chief Marketing Officer John Harrobin. A recent survey suggested that 14% of Americans have given up on pay TV entirely. That number has been on the rise over the last few years, and will only continue to grow as the NBA, NFL, Comedy Central and more start offering ways to watch entertainment and sports programming without a cable subscription. Hopefully, with AT&T and Verizon both offering their own cord cutter friendly bundles, even more providers will soon follow suit.